A. Any current road, path, drive or easement that is not part of the County Road System is a private road and may be submitted to the Board of Commissioners for acceptance into the County Road System. Any road, path, easement or drive submitted must have an as-built design drawing, plat or plan stamped by a registered professional engineer certifying that the road as built meets the minimum AASHTO standards as established by their “Policy on Geometric Design of Highways and Road”. The as-built drawings must note the functional design classification, as defined by the Georgia Department of Transportation of all roads in the plan. B. Landowners shall provide maintenance on the road for a minimum period of one (1) year and shall continue until accepted by the county. C. Prior to the expiration of one (1) year, the County will inspect the road, provide owner with a list of any defects found, and owner will correct defects at owner’s expense. Once the road is approved by the County, the road can then be deeded to the County or an easement granted as determined by Paragraph (p) of §17-1-2 and placed on the county road system. D. The Commissioners may accept the road if they determine at their sole discretion that the road serves a substantial public purpose. E. No road that has received any surface treatment application or improvement prior to submission shall be accepted unless and until the application or improvement meet the Georgia Department of Transportation standards and specifications related to base, grade, drainage, and surface typical sections design and construction. a. Proposed name of subdivision, including unit, phase, and lines separating phases and/or units. b. Names, addresses, and telephone numbers of sub-divider, engineer, landscape architect, and surveyor. c. Graphic scale, north arrow, and date: the north point shall be identified as magnetic, true, or grid north. d. Location map showing the relationship of the subdivision site to the surrounding area, including directions and distances to readily identifiable landmarks in the surrounding area. e. Acreage to be subdivided. f. Proposed number of lots. g. Proposed density in dwellings per acre [gross]. h. Total lineal feet of proposed roads (per phase and total). a. Topographic contours and vertical intervals of not more than two (2) feet when a new road is involved in a subdivision including outline of wooded areas, vegetation, and surface drainage. b. Topographic data shall be based on field survey or aerial survey. c. Soil conditions according to U.S. Soil Conservation Service Classifications Manual. 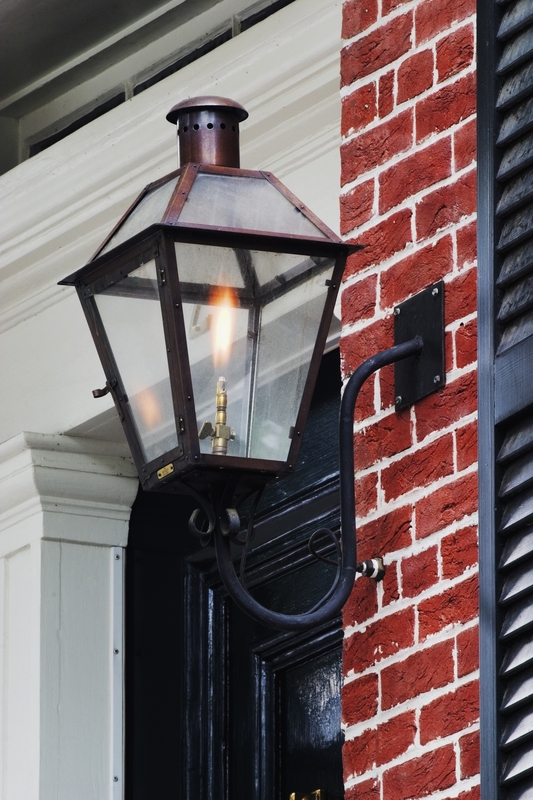 d. Deed record names and addresses of adjoining property owners or subdivisions. e. In case of a re-subdivision, a copy of existing plat with proposed re-subdivision imposed thereon. f. Location of streams, lakes, wetlands, and land subject to a 100-year flood hazard, including contour elevations. State if elevations are taken from a surveyed stream on a FEMA map or if the elevations are from an independent study (HEC-2, QUICK-2, etc.). Wetland areas shall be field located. g. Notation that live streams and/or wetlands lie (do not lie) within this subdivision, or unit and phase. Provide a copy of wetlands delineation report from a registered soil scientist in the State of Georgia. h. State whether or not a project is in a 100-year floodplain; whether or not wetlands exist on the site; or, if the area lies within portions of the limited development area or the water quality critical area of any Watershed Protection District. i. Location of existing and platted property lines, location, width, and names of all platted roads, railroads, utility rights-of-way, public areas, existing buildings or structures. j. Existing sewers, water mains, drains, culverts or other underground facilities within the tract or within the right-of-way of boundary roads with sizes, grades, and invert elevations from field surveys or other sources. All sizes and data on all utilities shall be provided. k. Existing drainage patterns. The boundaries of the pre-developed drainage basins shall be shown on a map. The map shall include the number of acres in each basin, the pre-developed runoff coefficient, and the time of concentration. a. Layout and names of proposed roads, alleys, public walkways/bikeways (i.e., sidewalks, trails, paths, bicycle facilities), with width of pavement and rights-of-way. The plan, plat, or design must note the functional design classification, as defined by the Georgia Department of Transportation of all roads in the plan. b. Layout of all lots, including building setback lines and lot dimensions, including lot area. Lots with detention ponds must meet minimum area requirements outside the area of the detention pond. Show all existing and proposed easements. Show drainage easements for storm drainage pipes which cross individual lots. c. Flood elevations on any lots within a 100-year flood hazard area. In addition, the foundation elevation that is a minimum of one (1) foot above the established 100-year flood elevation shall be shown. This data may be shown either on the lot layout or in tabular form. d. Construction plans of roads including typical cross section and grade profiles. Show percent of each grade and length of each vertical curve. The construction plans shall meet AASHTO Green Book “Policy on Geometric Design of Highways and Road,” design standards and be certified by a registered professional engineer. e. Construction plans of improvements in the sanitary sewer system with grades, service, pipe size, and points of discharge and connection to the other trunk or lateral sewers. f. Show the centerline stopping distance for all points of access onto county roads. Show posted speed limit of existing county roads. g. Construction plans of storm drainage systems with pipe sizes, length, grade, location of outlets, runoff and velocity calculations, etc. All storm drainage systems carrying off-site runoff shall be designed for the 100-year storm event. All storm pipes within the county right-of-way or proposed county right-of-way for roads shall meet GDOT Standard Specifications available through the Georgia Department of Transportation (The Source) Standard Specifications. h. Construction plan of improvements in the water supply system with pipe sizes and location of hydrants, valves, and all appurtenances if scheduled. i. Draft of proposed deed restrictions to be imposed. j. Easements for drainage and future sanitary sewers along all side and rear lot lines. k. Proposed soil erosion and sedimentation control. l. Documentation of compliance with State of Georgia or Federal Storm water Management requirements. (B) All geometric design standards promulgated in §17-1-3(a) of this article. (C) Road construction plans will be approved by the Board of Commissioners before construction begins and must comply with all standards as promulgated by this ordinance and the Georgia Department of Transportation Design Manual (June 11, 2010 as amended). No road that is scheduled or planned to received any surface treatment application or improvement shall be accepted as a County Road unless and until the application or improvement meet the Georgia Department of Transportation standards and specifications related to base, grade, drainage, and surface typical sections design and construction. (D) A minimum right of way sufficient to meet the minimum standards of AASHTO Green Book “Policy on Geometric Design of Highways and Road,” as adopted in the Georgia Department of Transportation Design Manual (Revised June 11, 2010) as certified to the County by a registered professional engineer must be granted to the County and certified by an attorney. Conveyance must be in compliance with paragraph (O) of this section. All cost associated with the certification and the conveyance are the responsibility of the conveyor and the County shall bear no cost. (E) Adequate drainage must be provided with side drains a minimum of eighteen (18) inches and across drains a minimum of eighteen (18) inches. (F) All roadbeds connecting with County maintained dirt roads must be stabilized with six (6) inches of sub-base mix, or DOT standard sand-clay mix with proper compaction of the roadbed, being 90 percent compaction… Landowner or developer will provide a soil test run by an approved laboratory. (G) All roadbeds connecting to county maintained paved roads shall at a minimum have roadbeds in compliance with paragraph F of §17-1-2. (H) On any road connecting with County maintained dirt or paved road that is to be paved or receive a surface improvement by the owner or developer; all road sections must comply with the typical GDOT Grading, Drainage, Base and Surface Section. All paving must comply with current Georgia Department of Transportation Standards. The area of right-of-way connecting the proposed road to the county maintained system paved road must have adequate drainage, a pipe of designated specifications as approved by the Department of Transportation. All cost associated with compliance of this section shall be paid by the landowner. (I) All roadbeds connecting with a state or federal highway must meet the requirements of paragraph G of this section and the Georgia DOT specification and approval process for connections to a state maintained road. (J) Right of way will be cleared of all stumps, limbs and foreign materials. All slopes and shoulders shall have approved grassing. (K) Each roadbed shall be a minimum of twenty-four (24) feet or as required by DOT standards as applicable. (L) Landowner or developer shall provide maintenance on the road for a minimum period of one (1) year and shall continue until accepted by the county. (M) Landowner or developer shall provide a certified set of as built plans stamped by the engineer certifying that all final specifications still meet the original design standards as contemplated by this ordinance and remain in compliance with AASHTO Green Book “Policy on Geometric Design of Highways and Road,” as adopted in the Georgia Department of Transportation Design Manual (Revised June 11, 2010). (N) Prior to the expiration of one (1) year, the County will inspect the road, provide owner with a list of any defects found, and owner will correct defects at owner’s expense. Once the road is approved by the County, the road can then be deeded to the County or an easement granted as determined by (Paragraph (p) of this section) and placed on the county road system. (O) All construction work, stabilization cost, legal work, survey expenses and all other expenses shall be the expense of the landowner/developer. (P) Any Subdivision roads and right-of-ways and other lands to be dedicated to the public for the purpose of constructing a capital and permanent improvements such as base and surface improvements shall be accepted and dedicated by the County only upon the delivery to the Board of Commissioners of the general warranty deed conveying fee simple title of such right-of-ways and lands. The warranty deed shall be accompanied by an attorney’s certificate of title and a tax transfer form addressed to the County Board of Commissioners certifying that the grantor in such deed is vested with marketable fee simple title to the property conveyed thereby, free and clear of all liens and encumbrances, and further that the individual executing such deed has full authority to do so. Acceptance of such dedication shall be accomplished by Resolution of the Board of Commissioners, a certified copy of which shall be attached to both the deed of dedication and the final plat. Any Subdivision roads and right-of-ways and other lands to be dedicated to the County Road System for which a permanent capital improvement such as base and surface are not contemplated shall grant to the County an easement sufficient to meet the minimum design standards as established by the AASHTO Green Book “Policy on Geometric Design of Highways and Road,” as adopted by the Georgia Department of Transportation in their design manual. 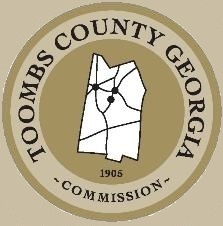 (A) Toombs County’s design standards are established and defined in the Georgia Department of Transportation Design Manual (June 11. 2010 and all future amendments and versions) which incorporates and adopts the AASHTO Green Book, “A Policy on Geometric Design of Highways and Streets,” and the AASHTO “A Policy on Design Standards for the Interstate System” as the minimum standard for controlling criteria required and mandatory on the County Roads of Toombs County. Toombs County further accepts AASHTO standards as promulgated for low volume roads where applicable. Standard – a required criteria or mandatory practice. Criteria denoted as standard have been identified by the County as having substantial importance to the operational and safety performance of a roadway such that special agency review and approval (Design Variance or Design Exception) will be required before deviation from the controls can be incorporated into a design. All controlling criteria are denoted as standard. Controlling Criteria: The Federal Highway Administration (FHWA) has specifically identified “13 controlling criteria” (listed below) as having substantial importance to the operational and safety performance of a roadway such that special agency attention should be given to the criteria in the design decision making process. The conditions of the “13 controlling criteria” are defined by AASHTO and are adopted and denoted as standard criteria by the County. In some cases, GDOT provides more specific and selective guidelines relating to controlling criteria; however, at a minimum, the conditions defined by AASHTO control. B. All cost associated with the design, development, certification, engineering, construction of any road or development covered by this plan or compliance with any standards promulgated as part of this ordinance shall be borne by the developer or property owner. The County shall bear no cost associated with these requirements. (A) Private Roads Permitted. Private roads may, upon application, be permitted by the Board of Commissioners within subdivisions, subject to the requirements of this section. (B) All names for private roads shall be submitted to the E-911 division for approval. 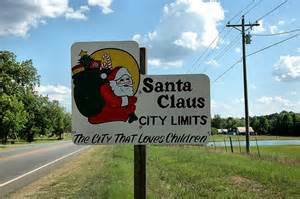 (a) All issues of compliance of this ordinance shall fall under the jurisdiction of the Magistrate Court of Toombs County. Any person, firm, corporation, or other entity which does any act prohibited by this article or fails to discharge any duty imposed hereby shall be subject to the imposition of a fine of $500 per violation. Applicable court costs will be payable in addition to imposed fines and other punitive action. (b) No person may sell, offer for sale, lease and rent, begin construction or otherwise begin the physical development of a lot or lots in a subdivision until written approval of plans by the Board of Commissioners certifying compliance with all provisions of this article. Violation of this provision of this article shall result in fines of $500 per lot. (c) Violators of this ordinance shall also be subject to the injunctive powers of any court having jurisdiction in the matter. All ordinances or parts thereof in conflict herewith are hereby repealed. If any section, sub-section, paragraph, sentence or part thereof of this ordinance shall be held to be invalid or unconstitutional, such invalidity or unconstitutionality shall not affect or impair other parts of this ordinance unless it clearly appears that such other parts are wholly and necessarily dependent upon the part or parts held to be invalid or unconstitutional, it being the intent in enacting this resolution that each section, sub-section, paragraph, sentence or part thereof be enacted separately and independently of each other. 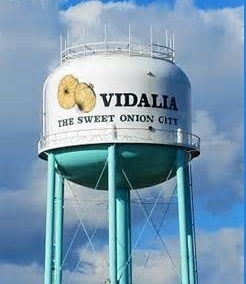 This ordinance shall take effect upon February 10, 2009. As Amended December 14, 2010.